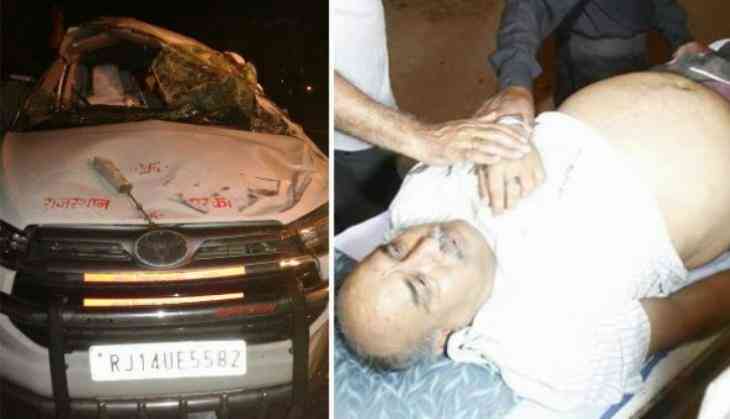 Rajasthan's Food and Supplies Minister Babu Lal Verma on late Monday night met with an accident in which his personal assistant died. Verma's car collided with a buffalo on National Highway number 76 at around 1 a.m. and overturned. Badly injured Verma and his personal assistant Moti Lal were shifted to MBS Hospital where Moti Lal died during the treatment.